Jill Ammon Vanderwood is the author of ten books for children and young adults. She is the 2008 Writer of the Year from the League of Utah Writers and the winner of numerous book awards, including silver in the National Mom’s Choice Awards. Jill wants to make a difference for the next generation by tackling the hard topics affecting kids and their families around our nation, such as drugs and bullying and now gun safety. In her latest book, Off Target: The Path You Choose #1, Jill deals in a no-nonsense way with the need for guns to be stored safely away from minors. Off Target: The Path You Choose #1 is an interactive social issues book for young adults and preteens written by Jill Ammon Vanderwood and illustrated by Kerah Diez and Trevor Brown. 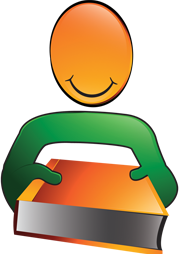 Being the new kid in the neighborhood is never very easy, but the boy in this story is fortunate in that a neighbor and his son came over to help him and his dad as they were unpacking their U-Haul truck. The boy’s name was Trevor and they would be attending the same school, which was a big relief. At school, Trevor introduced him to Eric and Tyler, and then to Sara and Lisa, who were all friends. The new kid is surprised when bullies come over and dump milk on Eric’s head as his friends all watch. Eric is angry, but there’s little he can do except wipe off the milk. Later, after school, everyone goes to Eric’s house to hang out, and the new kid is invited along. At first, they’re all playing football in the backyard, but then Eric says he has something to show them. They go upstairs to Eric’s parents’ bedroom, and he takes a loaded gun out of his mother’s night table. No one has ever been that close to a gun before and they wait in turn to touch it. Tyler suggests that Eric should take that gun to school one day to give the guys who are bullying him a scare. Lisa agrees, but the new kid is not so sure about it. What should he do? The author presents fourteen different stories depending upon his decisions. Jill Ammon Vanderwood’s interactive social issues book for young adults and preteens, Off Target: The Path You Choose #1, is a stark and realistic workbook designed to help kids figure out what to do when the unthinkable occurs. The author ends her book with some stunning statistics about gun deaths among children whose parents fail to properly secure their weapons as well as descriptions of the ordeals and life-changing circumstances that can arise when unsupervised minors play with guns. Her stories address issues like responsibility and doing the right thing even when it seems much easier to just run away. Kerah Diez and Trevor Brown’s graphic illustrations are dynamic and direct, making the reader feel even more a part of this interactive book. This book may save lives -- it’s that good. Off Target: The Path You Choose #1 is most highly recommended. 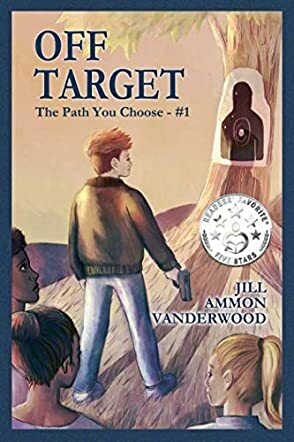 Off Target: The Path You Choose, Book One is a work of fiction for young adults penned by author Jill Ammon Vanderwood. 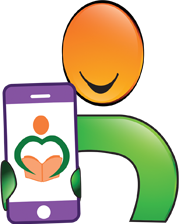 Focused specifically on social issues, the format of the book is a 'choose your own adventure' style, where the reader can select a page to turn to in order to direct the course of the story for themselves. In this first volume of the series, the story focuses on a young man called Eric, a new friend to the central character of the story (‘you’, as the reader). When Eric takes his mother’s gun from her nightstand, suggestions are made as to what to do with it, and it’s up to you to see where the danger might lead. With thirteen possible endings, all of which teach some important lessons about the relationship between young Americans and guns, this is an accomplished work which is socially conscious and also interesting for middle grade students and up to read. I feel that Off Target is best suited as a morality work that could be read in groups at school, with parents or in youth groups to explore the different possibilities of the choices before readers select the page to turn. Jill Ammon Vanderwood writes well in the second person to draw the reader further into the story, developing a real character whom the others talk to and take advice from. I enjoyed this sense of urgency and think it would be empowering for young readers to simulate making these important decisions in life. Off Target by Jill Ammon Vanderwood allows readers to choose their own adventure with thirteen different endings. You, the main character in the book, are new in town and have just made friends with the boy next door – Trevor. On your first day at school, he introduces you to his friends, but you soon realise that Eric, one of Trevor’s friends, is the target of bullying. After school, you and a group of Trevor’s friends go to Eric’s house where he shows you his mother’s gun. Someone suggests that Eric take it to school to threaten his bullies into leaving him alone, but you are worried about what could happen if he does. What do you do? Do you steal the gun and hide it or do you join in with the others? Be careful; each choice carries responsibilities and leads to different consequences! 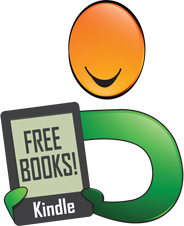 The Path you Choose format is an interactive and fun method for young adult books. 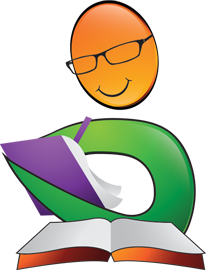 Not only does it involve teenagers in the reading process by giving them the power to decide the direction they’d like the story to go in, it also teaches them valuable life lessons along the way. I enjoyed Off Target with its emotionally intense, yet reflective tone and its awkward, but authentic characters. The action-packed story line made it difficult to choose between the paths because I wanted to know what would happen in every instance. Luckily, readers can go back and start all over again, making this is a book within a book within a book… Jill Ammon Vanderwood has dealt with a controversial topic in a way that makes sense to teenagers; the mark of a talented YA author!